Okay, Skip Hop’s Zoo may be the most adorable, whimsical, fun and every other “cute” word under the sun toddler collection we have seen! With bright colors and sweet faces Skip Hop’s Zoo will make meal time fun and get your tot excited for pre-school too! We absolutely adore the Zoo collection in Cat and we must say this pack and lunchie is to die for! With a roomy main compartment, insulated pouch and an adjustable mesh pocket– the Zoo pack is perfect for water bottles and sippy cups, art, school work and snacks– a functional design that is unbeatable! Durable with soft material– both the Zoo pack and Zoo lunchie have easy to clean liners and are BPA and Phthalate-free! 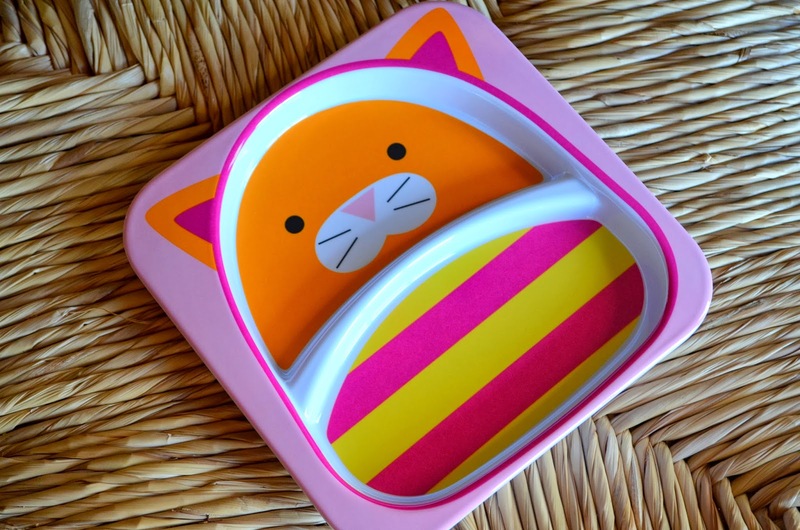 Loving that the Cat bowl and plate are both dishwasher safe and can be easily mixed and matched with the other sweet animal faces in Skip Hop’s Zoo meal time collection. They Are Amazing–Repeat! Don’t wait– go snag your Zoo Collection for the holidays, your toddler will thank you!